New updates have been put on hold indefinitely. Comments only asking for a release date of future updates will be deleted. Feel free to write comments regarding the latest versions and the current state of this mod or any other kind of issue you may come across. For further information, please read this news article on our website, thank you. Big thanks to Bernd from EDITING.MYFHL.DE for his amazing tools. Thanks to SIA, engengaifc, revilo16, Diego, Emiliano, Tato, Javier. a) Unpack this rar in your FIFA 16 main folder. Overwrite files that it asks you to do. Here we go again!!!! Can't wait. Going up, going up, mighty boro are going up! Good news is that intro music works so we can easily intro songs for UEFA CL, Europa League etc. We are trying to convert FIFA 15 faces but I guess it will be better modders to create them with new FIFA 16 format since they are by far better than FIFA 15 ones. We are preparing extra kits to be added, working on an excel sheet in order to convert tables to 15 and work with CM15 if we don´t have a new version by Rinaldo or until he releases a new one. (09-11-2015 06:02 PM)Ariel Wrote: Good news is that intro music works so we can easily intro songs for UEFA CL, Europa League etc. 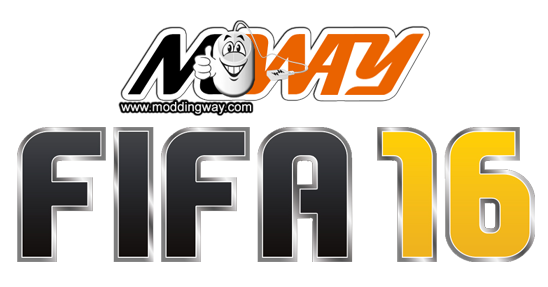 We are trying to convert FIFA 15 faces but I guess it will be better modders to create them with new FIFA 16 format since they are by far better than FIFA 15 ones. We are preparing extra kits to be added, working on an excel sheet in order to convert tables to 15 and work with CM15 if we don´t have a new version by Rinaldo or until he releases a new one. Great news, but if we can convert fifa 15 faces for fifa 16, we will have more faces for unpopular and classic faces, because faces maker are not much time to create all of them from the scratch. There are ton of faces for fifa 15 i hope you can consider to make a converter. thank you ! oooh i love the Modding Way Mod and i used it for many years.